Home News and Updates Could the new Facebook Like buttons be a bad decision? Could the new Facebook Like buttons be a bad decision? One of Facebook’s hallmarks since its nascence has been the ‘Like’ as a basis of interaction between users. Now, given the social network’s nearly 1.5 billion active users per month, the new changes to the Like button might well spark a proper revolution. 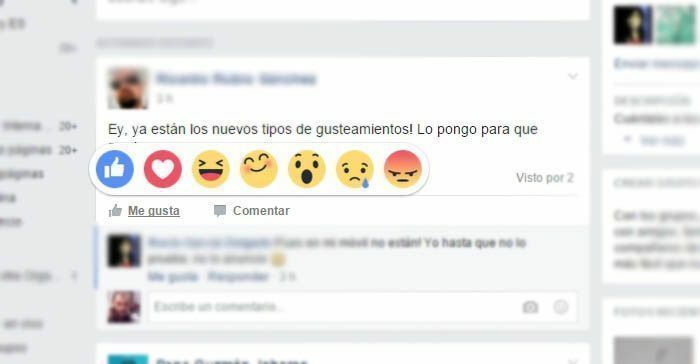 As of Thursday, Facebook users in Spain and Ireland now have a whole new set of Like buttons (called ‘reactions’) on Facebook, although they are a far cry from the much-longed-for Dislike button. There are seven different emotions you can express when it comes to rating a post. When you hover your mouse over the Like button on the desktop version of Facebook, all the associated emojis will roll out, with each of them representing a different emotion: the traditional Like, a heart for Fave, Laughing, Happy, Suprised, Sad, and Angry, or at least that’s what the faces look like. Now, Likes will be broken down into different reactions, meaning that alongside each post you’ll see the number of clicks on each emoji alongside the number of comments and shares. This lets users measure the impact of their posts much more precisely, but we’re still quite far from the clarity and simplicity of saying that you either Like or Dislike something. At the moment the system is still in test phase, meaning it’s quite likely that things might change by the time the feature is rolled out globally.